Swimmers Finish Well at Southwesterns! 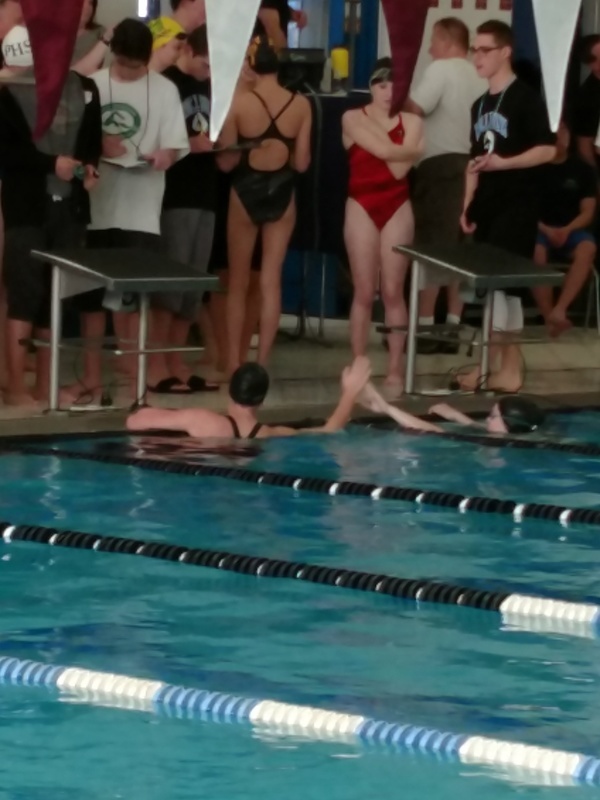 During Saturday's girl's Southwestern Swim meet, the Spartans finished 6th overall. 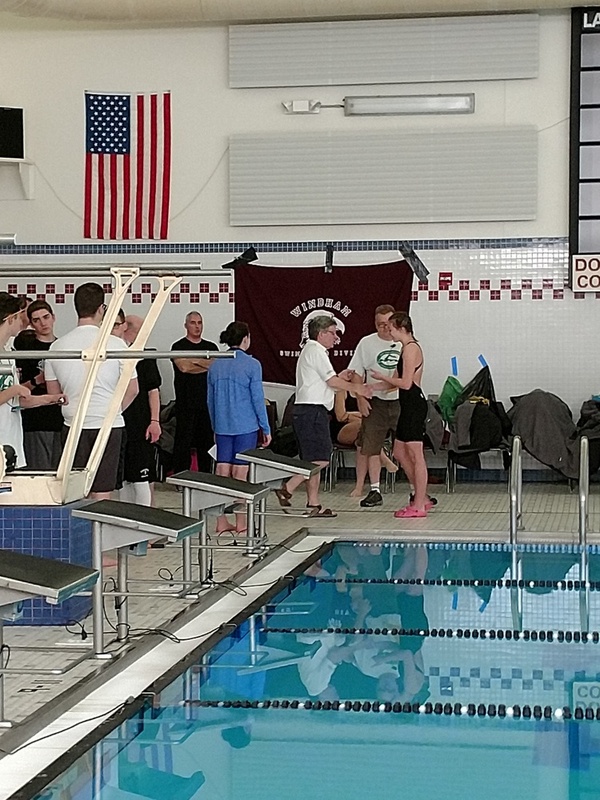 Senior Delaney Tanguay won a scholarship from the York County Officials Swim Association. Freshman Olivia Roux took 3rd in the 200 Freestyle and Tanguay placed first in the 50 Free. Tanguay also finished 2nd in the 100 Free. Roux also took 2nd in the 100 Backstroke. Senior Tiffany Twombley placed 4th in the 100 Breaststroke. To finish things off, the 400 Free Relay team grabbed 1st place and broke the Sanford High school record. The four swimmers were Twombley, Roux, Tanguay, and Celia Perks.